Involve your customers and fans from anywhere on social media & the web. 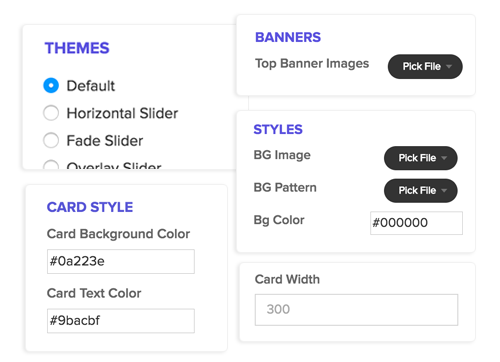 SocialBoard allows you to easily connect major networks like Facebook, Instagram, Twitter, Pinterest & YouTube and then display your feed on your website or presentation screen. 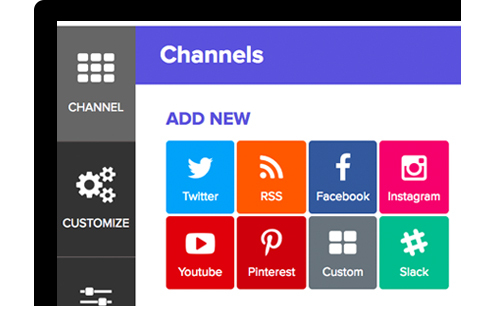 SocialBoard is an easy tool allowing you to aggregate, curate and customize social feeds, in order to amplify your message, your audience and, ultimately, your business. Quickly moderate high volumes of content for near real-time effects. Automatically filter unwanted content, such as bad language. 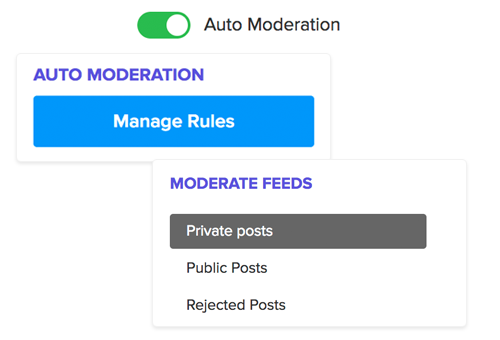 You can curate the content you display through our easy-to-use moderation functionality. Control the display of content that represents your brand best. 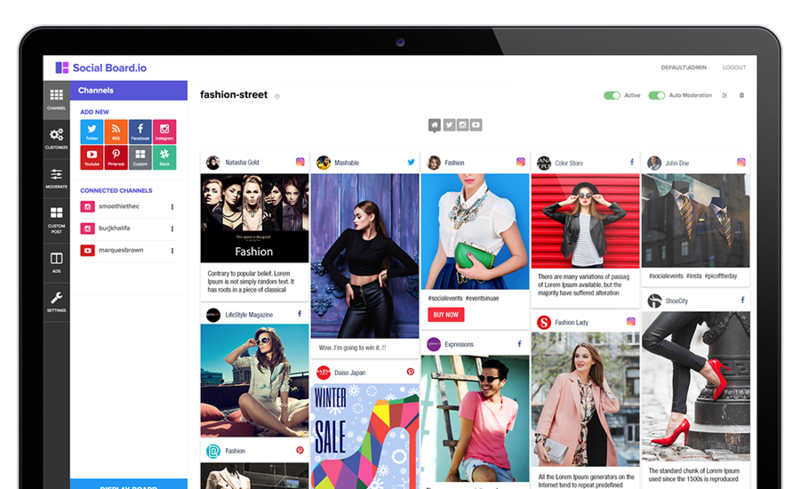 With powerful aggregation and four levels of moderation, you’ll be displaying your entire story in no time flat. Curate the best content from your fans and the brand in an automated or manual workflow: by channel, by hashtag, or by campaign. Use on any screen, any device; publish on any size, anywhere! Feature your social content on websites, mobile, tablets or websites, or broadcast it on large-format displays. 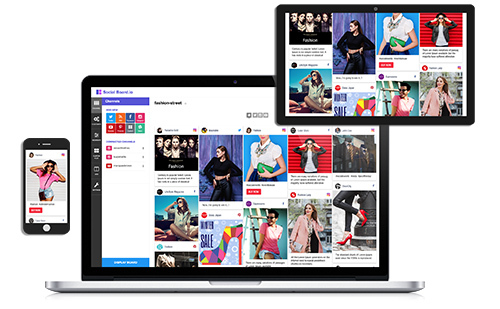 With SocialBoard’s responsive layouts your content looks amazing no matter what device you or your customers use.